It’s your typical Girl meets Boy. Except Girl is already engaged to someone else. And when Girl starts her very first teaching job she discovers Boy is actually one of her students. It was all impossible from the start. And yet, Ashley keeps finding herself drawn to Ethan. Life keeps them on a collision course, forcing them to confront their feelings, their choices and their regrets over the span of years. Is it their fate to be together, or will bad timing and bad choices drive them apart for good? Ashley has never quite known which path to take. She feels the pressure of the one everyone else wanted for her and the one that is risky and unknown, beckoning her with unrealised dreams. But she is stuck — stalled at every crossroad. How can she choose the right path, when life seems to throw her a curve with every step? In the space between choice and chance, fighting and giving in, Ashley must learn to find her own way, guided by the dreams — and the people — written on her heart. Tamara Lee Dorris has been a life-long fan of personal and spiritual development, and has written several books that fall under the category of “self-help.” She wrote Secrets of a Spiritual Guru as a way of poking fun at how easy it is to become an online expert. Drew and Libby Sullivan have spent the past six years building the perfect life together. They have a beautiful home, flourishing careers, and they’re finally ready to take the plunge into parenthood. Well, almost. Despite the endless prodding from family, friends, and even strangers, there still seems to be something holding the couple back from starting a family. Perhaps that’s why they decide to take the advice of Libby’s older sister and make a list of everything they want to do before they have a baby. Making their baby bucket list, or as they call it, “The Buggy List”, buys them just a little more time to be Drew and Libby, who sleep in until noon on Saturdays and eat Chinese takeout for dinner on the couch. Besides, it gives Libby the opportunity to pull straight-laced Drew out of his comfort zone and do something fun for once; like go undercover as singles to a speed dating event with their friend, Tom; or finally take the honeymoon they never had. Drew and Libby each write down five items that they must complete before having a baby. But what starts out as a little harmless fun quickly becomes more than this couple bargained for. 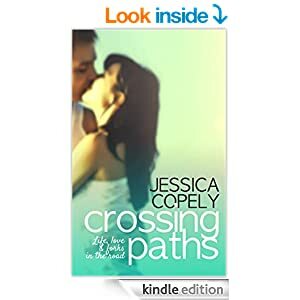 When secrets, little white lies, and competing desires threaten to pull them apart for good, Libby and Drew must rediscover why they fell in love in the first place. Penelope Dupres is quickly realizing her highbrow life and hoity toity friends just aren’t cutting it anymore. With two murders, a philandering husband, dark secrets and whispers of betrayal nipping at her heels, Penelope seeks to find a way out of the chaos. Her dreams are answered with the arrival of a very unconventional Angel named Brilliant. Brilliant pulls the rug out from under Penelope and teaches her there’s more to life than country clubs and designer handbags. With his particular zest for life and unconventional tactics, Penelope learns to love herself again and embarks on a journey to create the life she’s always dreamed of. Join Penelope for the ride of her life as she kicks up her heels and starts to love again. 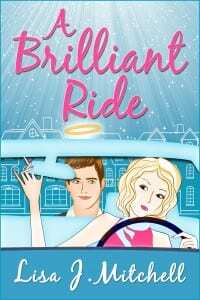 A Brilliant Ride is a laugh-out-loud, humorous romance mystery. It’s the story of Penelope Dupres and her journey to find true love. Penelope lives in a world of opulence and grandeur, but deep down she longs for a simpler life. After realizing her marriage is over, she seeks to create the life she’s only dreamed of living, and after years of pleasing everyone but herself, she sets out to find her true self and her true love. Penelope has lost sight of who she truly is and longs to be the girl she once was. Feeling helpless, she digs deep and asks for guidance. Her dreams are answered with the arrival of Brilliant, her guardian angel. Brilliant pushes Penelope to enjoy life and teaches her how to create her perfect reality. 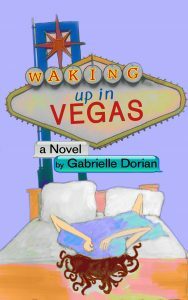 A Brilliant Ride is a humorous romp that brings home a powerful message. It encourages all women of any age to have faith and dream big. We all have the power to create. I wrote this book hoping all women would benefit from that idea. Life is meant to be lived to the fullest, so kick up your heels and enjoy. Let it flow; let your imagination take flight and have fun with it. The journey is the best part of any endeavor. Lisa J. Mitchell is an American writer, residing on the East Coast with her husband, two sons, and her Shih-Poo. She’s worked in Advertising, Fashion, and Sales…but found writing to be her absolute passion. When she’s not tapping away at the keyboard, she can be found in the kitchen whipping up a new recipe, enjoying time with her family, or having a laugh with dear friends. I wrote this book for all women, hoping they might be inspired to live life to the fullest. We can all create our perfect dream come true…with a little faith.